We may not think of it at first, but a new roof can bring a substantial return on investment in terms of home projects. More specifically, new roofing gives homeowners the chance to cut cooling costs while also improving curb appeal and resale value. Take a moment to think about your current to-do list at home. Maybe you’re hoping to finish the basement or remodel a bathroom. But if you really want the most bang for your buck down the road, a roof replacement from our Fort Collins roofers could make the most sense. 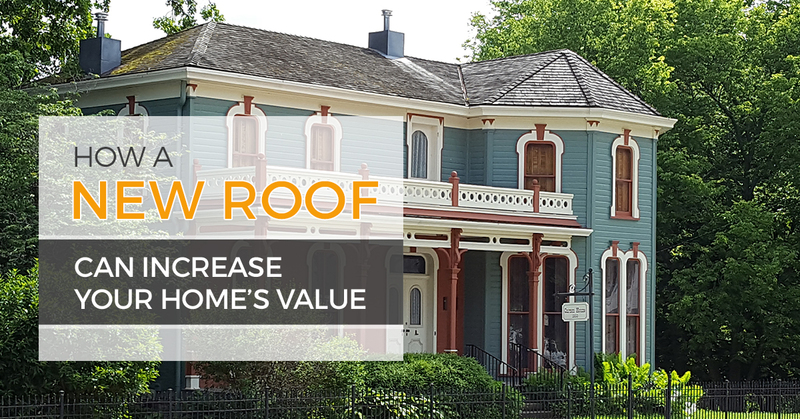 Home Advisor cites a recent Remodeling Magazine Cost vs. Value Report that confirms a new roof increases home resale value by a national average of nearly $12,000. The survey also points out that homeowners with new roofing installed can expect to recover nearly 63 percent of the installation cost through increased home value. So where does new roofing stack up with other common home projects? Well, it puts new roofing ahead of a bathroom addition or installing a backup power generator based on ROI. Improved resale value – You’d be hard pressed to find another project that would bring an increase in home value by nearly $12,000. Provides beauty to your home – At Schroeder Roofing, we are proud to offer a variety of roofing options that look incredible. Whether it’s asphalt, tile, metal, or low slope, we’ve got you covered when it comes to roof replacement. Lower warranties – Looking at asphalt specifically, we’ve seen a drastic change in quality over the years. Today, there is a greater selection of styles, colors, and budget ranges. Best of all, warranties range from 25 years up to a limited lifetime. Cool roof technology – Have you been searching for ways to reduce cooling costs in the hot Colorado summers? The northern Colorado roofers at Schroeder Roofing are constantly focused on providing services that meet the future needs for energy efficiency while lowering home and business maintenance concerns. Avoid building inspection issues – Sellers tend to forget about it, but the roof is one of the home’s most visible features. Keep in mind that one in poor condition can stop a home sale immediately. It’s yet another reason to invest and upgrade in a new roof. Whether you need general roof repairs or a complete roof replacement, Schroeder Roofing can help. As a family owned and operated business, we’ve been serving Loveland and Fort Collins since 1977. Not only are we fully insured and licensed, but we also take pride in our good standing with the Better Business Bureaus of Northern and Southern Colorado, the Colorado Roofers Association, and the Home Builders Association. Backed by a great reputation, elite service, and unmatched professionalism choosing Schroeder as your Colorado roofing contractor is a no-brainer. Give us a call today to get started with a new roof.